Official figures showing how many immigrants are coming to the UK are "little better than a guess", according to a report by MPs. The report by the Public Administration Select Committee says the number of migrants coming to the country is not properly measured, and warns the statistics are "not fit for purpose". Analysis on how many non-UK residents are entering and leaving the country is primarily based on "random interviews" of travellers at ports and airports that were introduced to examine tourism trends, the report says. Just 5,000 migrants a year are identified through the International Passenger Survey and many "may be reticent to give full and frank answers," it warned. Although the Office for National Statistics (ONS), which uses the research to draw up its migration estimates, has "done its best" to produce informative statistics, the survey "is not fit for the purposes to which it is put" and ministers must find new ways to gather information, MPs said. Conservative MP Alun Cairns, who sits on the committee, told Sky News: "When we come down to measuring the absolute numbers, it's far too blunt, the way in which they collect the data is too inaccurate and the margin for error is far too great." 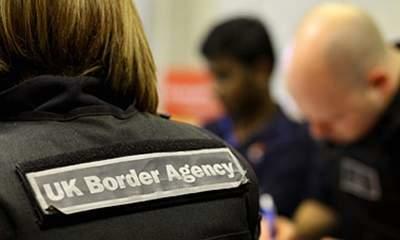 In the year to June 2012, immigration was estimated at 515,000 while emigration was estimated at 352,000. The coalition aims to reduce net migration - the difference between the two figures - from the hundreds of thousands down to the tens of thousands by 2015. But MPs warned the Government is at risk of ending up with an "inappropriate" immigration policy if it bases its target level of net migration on uncertain statistics "which could be out by tens of thousands". ONS migration estimates contain no information on the immigration status of migrants, while statistics produced by the Home Office do not indicate the number of visa holders with valid leave to remain in the UK or the number who overstay their leave to remain, the report said. Statistics produced by both organisations are "blunt instruments" for measuring, managing, and understanding migration, it added. The committee said migration figures could be considerably improved if the Home Office and ONS properly recorded and linked the data they already gather. MPs called for the e-Borders system to be used for measuring immigration, emigration and net migration as quickly as possible. Committee chairman Bernard Jenkin said: "Most people would be utterly astonished to learn that there is no attempt to count people as they enter or leave the UK. "They are amazed when they are told that government merely estimates that there are 500,000 immigrants coming into the UK each year. "This is based on random interviews of around 800,000 people stopped and interviewed at ports and airports each year. "Only around 5,000 of those are actual migrants, many of whom may be reticent to give full and frank answers, to say the least." The International Passenger Survey also fails to garner the type of information needed to work out the social and economic consequences of migration, such as demand for the National Health Service or schools. A Home Office spokesman said: "We disagree with the report's conclusions. Government reforms on immigration are working and the statistics do show that net migration is at its lowest level for a decade. "The government is determined to build a fairer system and to address the public's concern about immigration. "We are committed to getting net migration down from the hundreds of thousands to the tens of thousands, and we want to be judged against the very best available evidence." Liberal Democrat Business Secretary Vince Cable criticised what he called the Conservative Party's "obsession" with net migration targets. He told BBC One's Andrew Marr Show: "This idea that you're pursuing a net immigration figure is very misleading because, amongst other things, the largest number of people counted as immigrants are overseas students, who are not immigrants, they're visitors, but under the United Nations classification are counted as immigrants - but they're good for the country."